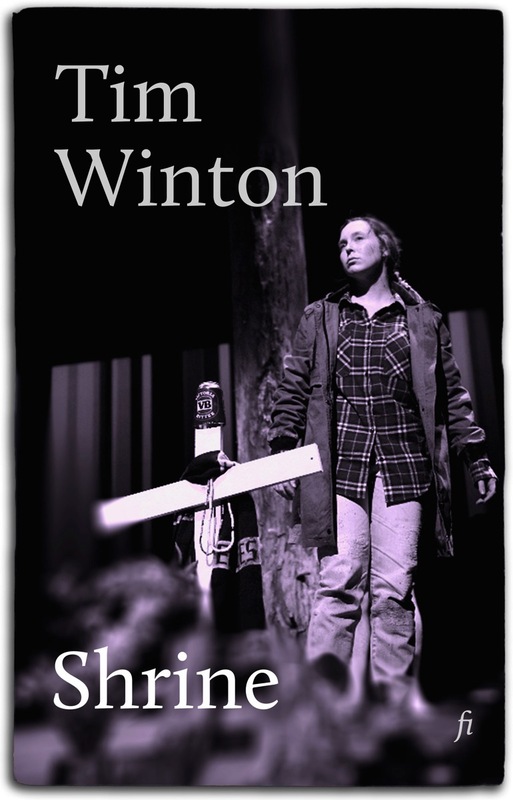 A treat for our non-Antipodean friends: we have released two more recent plays by Tim Winton in e-book form. Following on from Rising Water (2012) we now have Signs of Life (2013) and Shrine (2014). The new plays show a deepening and a broadening of Tim’s theatrical technique while continuing to explore the ways that great expanses of time and geography can be compressed into an hour or so on a single stage. Signs of Life finds Georgie Jutland, the heroine of Tim’s novel Dirt Music, alone on a farmhouse veranda in the wheat belt — a widow on her husband’s land. Two strangers arrive, a brother and sister. They say they’re in trouble but they won’t say what kind — and they won’t leave. Almost as if they own the place… As they circle each other, the play unravels ideas of connection and belonging and the hold of the past on the present. Shrine digs deeper into the abiding influence of the past, centring on a roadside shrine that marks the tragedy that has shattered the Mansfield family — the death of their son — but hints at an even darker secret. With another visitor from the past and a reckoning for unpaid debts, this is an exquisite conclusion to a loose trilogy. All three plays weave together memory and forgetting, reflection and humour, landscape and language, and are at much at home on the page as on the stage. Fans from Tim’s homeland and its shaky neighbour can still get Rising Water from us and the other plays from their favourite e-store courtesy of Penguin — and keep an out for local productions of these terrific Australian plays. The rest of the world can purchase all three plays from Ligature or the usual outlets.